Acharya Shree Nanesh Industrial Training Centre, Danta has been started with a motive of acting and taking keen interest to prepare skilled trainees as demanded by various industries. From a seedling it has developed now to a huge banyan tree this institute imparts training in vocational job oriented courses & thus serving nation through education and development. The courses run by the institute i.e. Electrician & Fitter are affiliated to NCVT (National Council of Vocation Training) which is the apex organization at National level for the programmes relating to Industrial Training Scheme under DGET (Directorate General of Employment and Training), Ministry of Labor Government of India, New Delhi and The institute is administered by Directorate Technical Education, Govt. of Rajasthan, Jodhpur. Institute’s management believes that “BRICKS” and “MORTAR” alone do not make an institution. Rather, it is the dedicated faculty, talented and disciplined students which together form the SOUL of the Institution. Efforts have therefore always been to search for qualified, experienced and dedicated faculty in the Institution. The brilliant faculty is the backbone of this institute. Faculty is suitably qualified as per the norms of NCVT and equipped with the latest knowledge and communicating techniques. The class room instructions and workshop demonstrations are performed with the help of latest teaching aids.The staff is very caring and approachable. They make students feel at ease. Regular Teacher -Parent Interaction is among one of the strong part of the duties delivered by Faculty to enhance the progress of trainees. Besides normal class room instructions and practical demonstrations in workshops by the permanent faculty, Experts from Industry, Professionals and eminent personalities, recognized for their contributions in their field, are also invited to deliver lectures on specialized topics to supplement traditional academic programmes. The institute has been setup with objective of imparting craftsman training to technicians offering an environment where youth can grow to their full potential and become disciplined and skilled Technicians. The training is provided as per the guidelines suggested by NCVT with a motive to acquire the required skills of various trades of emerging Govt/private sector industries. It encourages Self employment & thus contributes in National economy. The students who have passed ITI second Year are eligible for polytechnic admission. To contact personally various local industries for their man power requirements. 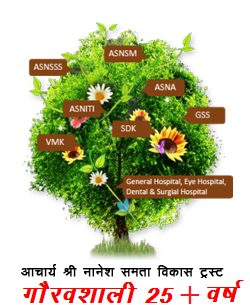 To provide information of different self employment schemes of government to trainees. To provide newspapers, magazines (career guidance, general knowledge, motivation), employment news to trainees. To provide computer facilities to trainees for career related information. To ensure a steady flow of skilled workers in different trades for the industry. To raise the quality & quantity of industrial production by systematic training of workers. To reduce unemployment amongst the educated youth by equipping them for suitable industrial employment. To produce skilled manpower as per Market/ industries Trends. Attract more and more youth towards Vocational Education and Training. To create the chances of employment and self-employment of youth through systematic training. To Increase the National Technical literacy. 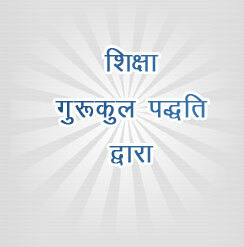 Click here to know students comment.